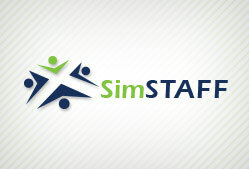 Want a quick overview of SimSTAFF’s capabilities, areas of expertise and more? Download the fact sheets below. Download SimSTAFF’s Employer Fact Sheet for a fast look at the reasons your organization should choose us for your technical hiring needs. If you’re looking for a challenging and rewarding career, download SimSTAFF’s Job Seekers Fact Sheet to learn why you should work with us.